My name is Aisling Smith and I am a freshman at Denison University, Ohio. During my final years of high school I was seeking a change of scene and pace, as my rural island upbringing had limited my world view in many ways. I had never really travelled much, so the prospect of immersing myself in a foreign environment was both scary and exciting in equal measure. I felt it was important that I challenged my adaptability as I moved forward in my academic career, pushing myself out of my comfort zone and into somewhere I could broaden my perspective. For the longest time, attending university in America was a distant dream, so seeing it transform into something real and achievable through hard work was one of the most fulfilling experiences. The unwavering support I received throughout the pressures and stresses of the application process allowed me to never lose sight of my end goal, and now I can wholeheartedly say that it was worth it. The best thing about US institutions is that there truly is one for everyone. I found my perfect fit with Denison, but only after extensive research in figuring out everything I wanted from my experience. 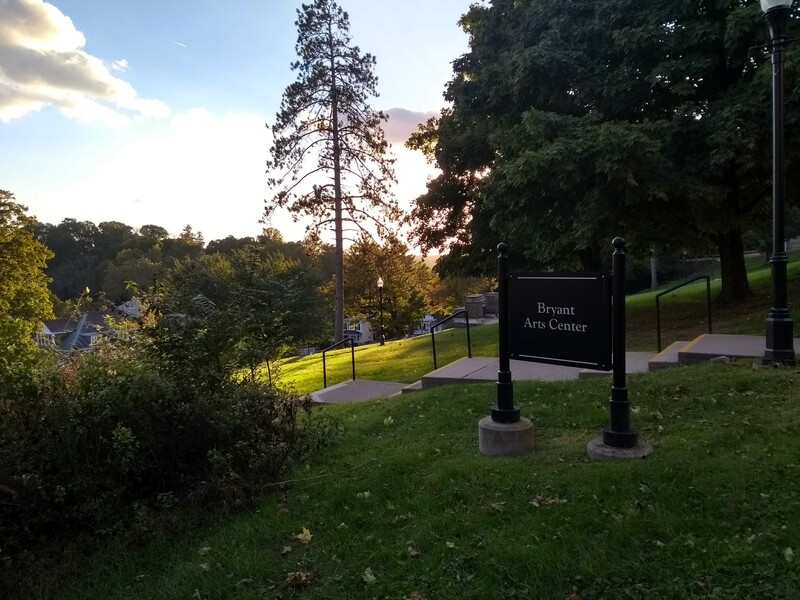 Like many prospective students, funding was a major factor in my college search, so to be awarded a generous full scholarship from Denison alleviated a lot of my stress. It is a beautiful campus in the small town of Granville, Ohio. My classes are small and attentive – you can tell that the professors really care about what they teach, and they always have time for their students. Denison’s academics are strong across the board, but I was really attracted to its arty bent that would allow me to develop my creativity and love of painting alongside my other academic pursuits. I was drawn to the flexibility of liberal arts degrees; I wasn’t prepared to narrow down my interests and I’ve always loved to be challenged by new disciplines and ideas. I’m still embracing the magic of this fun new culture that surprises me every day. In my first week here I was told that I was the first and only Scottish person to ever attend this institution, so one might expect a feeling of isolation or loneliness to come alongside this. In reality, I am surrounded by a friendly, welcoming and supportive campus that does everything to help me adjust and make the most of my time here (and believe me, it flies! ).